In case of the EUR/USD currency pair at the moment there is a possibility of the formation of “double bottom” reversal pattern with the target in the area of 1.3190. 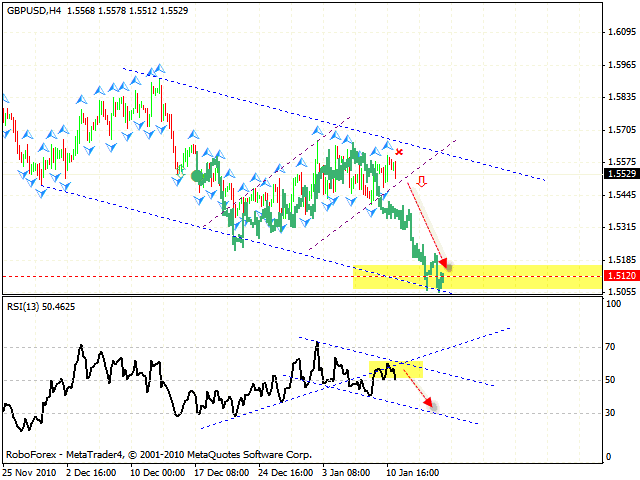 One should consider buying the pair near the level of 1.2870. 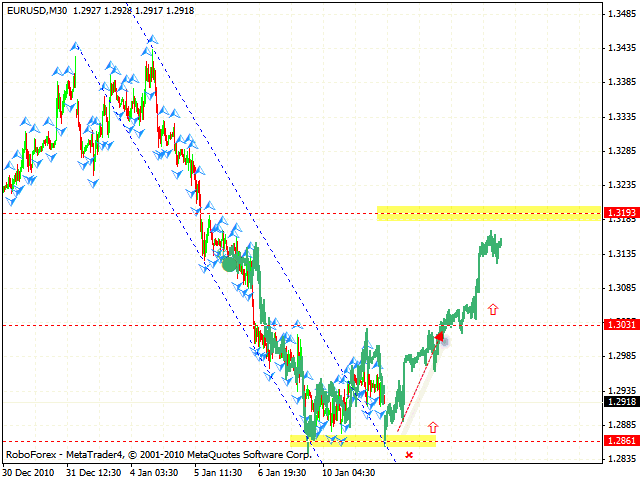 After the price breaks the resistance level in the area of 1.3031, one can try to increase the amount of long positions. 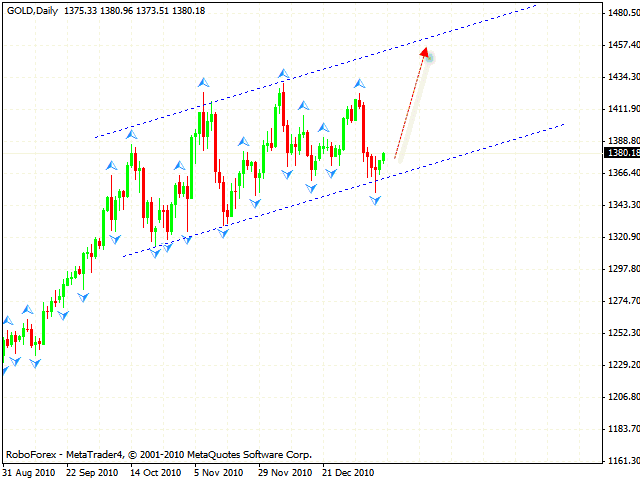 GOLD is moving as a rising channel. Currently the price is testing the channel’s lower border. We can expect the price to hit the border and start growing with the target in the area of 1457. 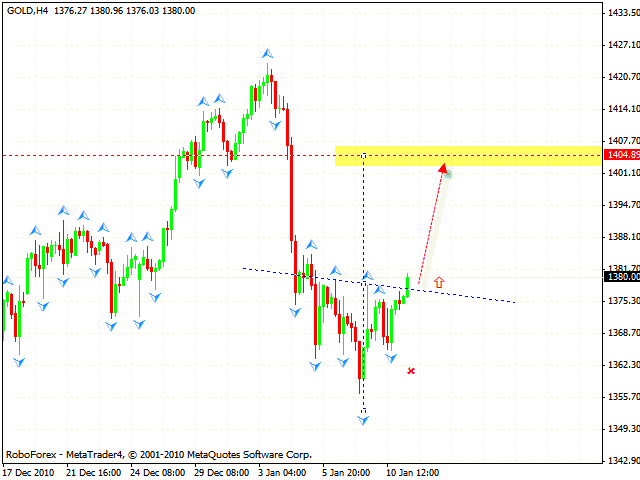 At the H4 chart we can see “head & shoulders” reversal pattern forming with the target of 1404. 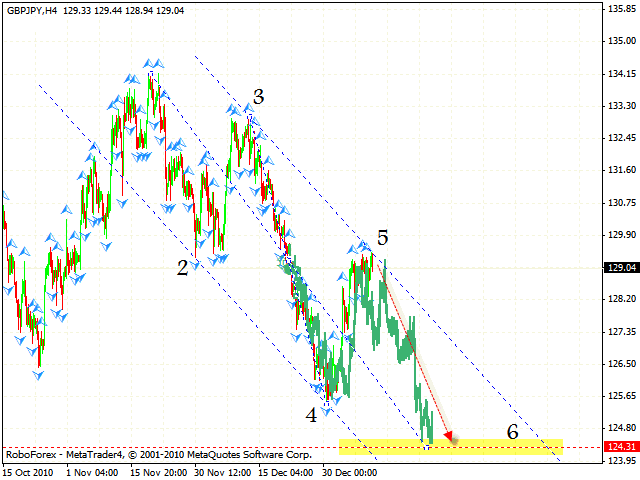 The neckline has already been broken, we can try to buy GOLD with the tight stop below 1370. Don’t forget to move stop into the black as soon as possible. Poundistryingtogrowrealhard, but the price structure that has been formed indicates that it will continue to move down with the target in the area of 1.5120. The trend line at the RSI has been broken, which is one more signal to sell the pair. One should consider opening short positions only after the price leaves the rising channel. The stop must be above 1.5585. OnecantrytobuytheUSD/CHFcurrencypairnearthelowerborderoftherisingchannel. The target of the growth is the level of 0.9748. 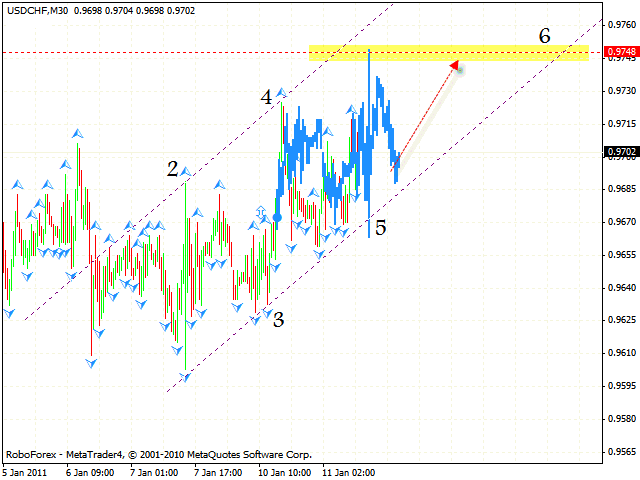 If the price leaves the channel one is not recommended to buy Franc. The descending pattern with the target in the area of 124.30 is still being formed, and the price is very close to the channel’s upper border. One can consider selling the pair with the tight stop behind local maximum above 129.45.